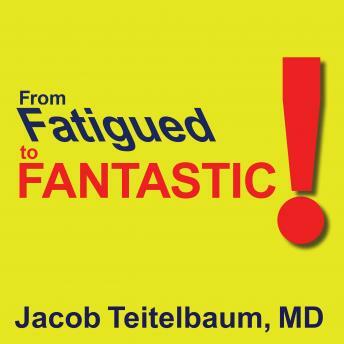 For the more than twenty-five million Americans who suffer from chronic fatigue, fibromyalgia, and other fatigue-related illnesses, there is only one bestselling guide: From Fatigued to Fantastic! This new, completely updated third edition incorporates the latest advances in science and technology to help alleviate the baffling, often dismissed symptoms associated with severe, almost unrelenting fatigue. Dr. Teitelbaum's integrated treatment program is based on the clinically proven results of his landmark study and on his more than thirty years of experience in working with patients to overcome their illnesses. Using the most current information, Dr. Teitelbaum helps listeners evaluate their symptoms and develop an individualized program to eliminate them. Specific guidelines for diagnosis and care are clearly and concisely presented, along with supporting scientific studies and treatment recommendations that include the latest and best strategies for using prescription and over-the-counter medications, nutritional supplements, alternative therapies, and/or dietary and lifestyle modifications.